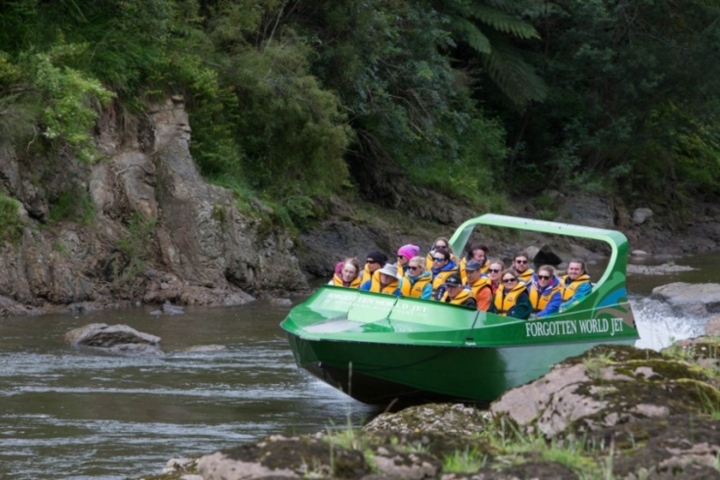 Meet at the Forgotten World Motel, for your private shuttle to the Whanganui River. 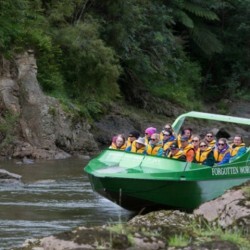 Board your Jet Boat and get ready for your journey, a 45km return Jet Boat adventure to remember. 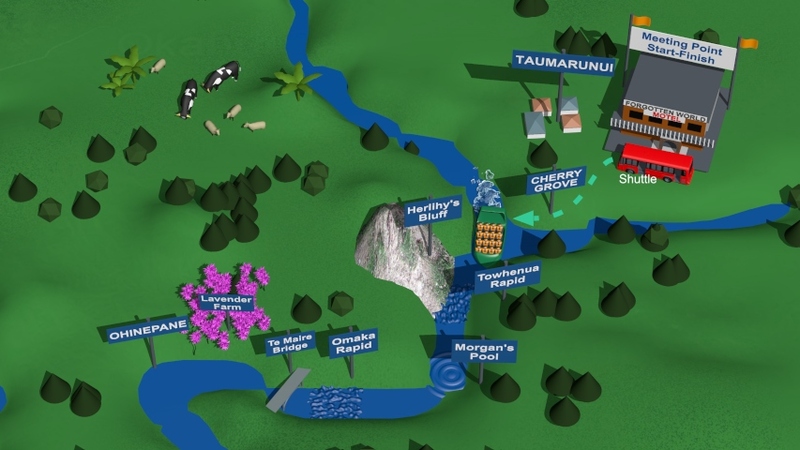 Skim through rapids and dark deep pools enjoying the breathtaking scenery of farmland and bush clad hills.A fun exploration of the upper reaches of the Whanganui River.